Mizette Nielsen moved from Holland to Portugal and got into the production of textiles. In 1976, she received a large order and started looking for a factory to execute it. She traveled to Reguengos de Monsaraz to visit the Fábrica Alentejana de Lanifícios (Wool Factory of Alentejo). Entering the factory was like stepping into the 19th century. Inside, she found the last manual looms of the Iberian peninsula. Old weavers operated these looms with confidence and grace to make wool blankets traditionally used by shepherds to keep warm during Winter. In the early 20th century, these blankets were often included in the trousseaux of Alentejo brides. But they had since fallen out of fashion. The blankets produced in the factory are too heavy to be used in houses with modern heating and insulation. But they are sturdy, so they became popular as rugs. Mizette started by producing the traditional designs inspired by the colors of the Alentejo landscape. Then, in collaboration with Gil Kalisvaart, she added new designs that combine well with contemporary furniture. Mizette’s rugs are one of the most beautiful thing you can buy in Portugal. They are works of art that link past, present, and future. Mizette has a store in Monsaraz at Rua do Celeiro, tel. 266-557-159, email mizettenielsen@yahoo.com. You can also buy her rugs at A Vida Portuguesa. Click here for their website. Silampos (“seelumpoos”) is a Portuguese brand of cookware that has produced great pots and pans since 1951. Joana Vasconcelos, a Portuguese contemporary artist, used these pans to build giant high-heel shoes. These sculptures were given pride of place in the Room of the Throne when Vasconcelos showed her work at the Ajuda Palace in Lisbon. 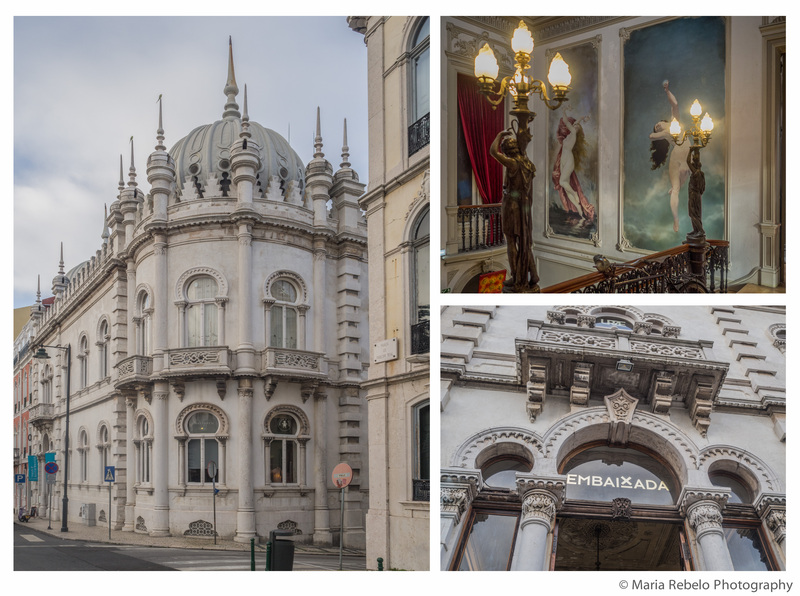 What would D. Maria Pia, the queen who lived in this palace, think about Vasconcelos’ work? We like it. And we always liked Silampos pots and pans, even before they mingled with artists in the royal court. “Where did you get that?” people used to ask when they saw someone wearing an interesting piece of clothing or jewelry. This question is now rarely asked. Shopping centers all over the world carry the same goods made by the same brands. In a world of abundance, the thrill of the new has become hard to find. Embaixada is located on Praça do Príncipe Real, n. 26. Click here for their website. The Romans loved salt. They used it to cook, to preserve food, and as a form of currency (the practice of paying soldiers in salt is the origin of the word salary). So, it is not surprising that the Romans settled in Castro Marim. This small town on the marshes of the Guadiana river produced great salt. During the 20th century, this production became industrialized. The salt was harvested with heavy machinery that leaves plenty of chemical residues. It was then washed and processed to turn its grey color into white, striping the salt of magnesium, potassium, and other important minerals. Artisanal producers abandoned their salt ponds and so did the fish and birds that used them as habitats. Centuries of knowledge about producing great salt was on the verge of being lost. But then, the tide turned. In the late 1990s, a cooperative called Terras de Sal revived the artisanal salt trade. It invited a French certification body to establish the strictest certification norms to ensure the highest standard of quality. It created the conditions to attract a new generation of producers who left their city jobs and came to Castro Marim to produce the best salt in the world. These producers harvest the salt manually with wooden tools, a slow process that is essential to avoid chemical contamination. They do not wash the salt, to ensure that it retains all its important minerals. Since rain muddies the water, they only harvest when the weather is dry, between May and September. One of the cooperative’s producers is called Água Mãe. Their salt is amazingly white and flavorful. Their “fleur de sel,” made of fine crystals created by temperature differentials between water and air, is exquisite. Água Mãe also bottles liquid salt, which is low in sodium and high in magnesium. When we spray it on our salads it gives them layers of delicate flavor. The Romans were prescient in their love of salt. An amazing fact about our bodies is that, because life began in the sea, the composition of our tissue fluid resembles that of natural sea salt. The ordinary act of seasoning our food becomes extraordinary when we use salt from Castro Marim. It is a privilege to nourish our body with the same pristine salt prized by the Romans 2000 years ago. 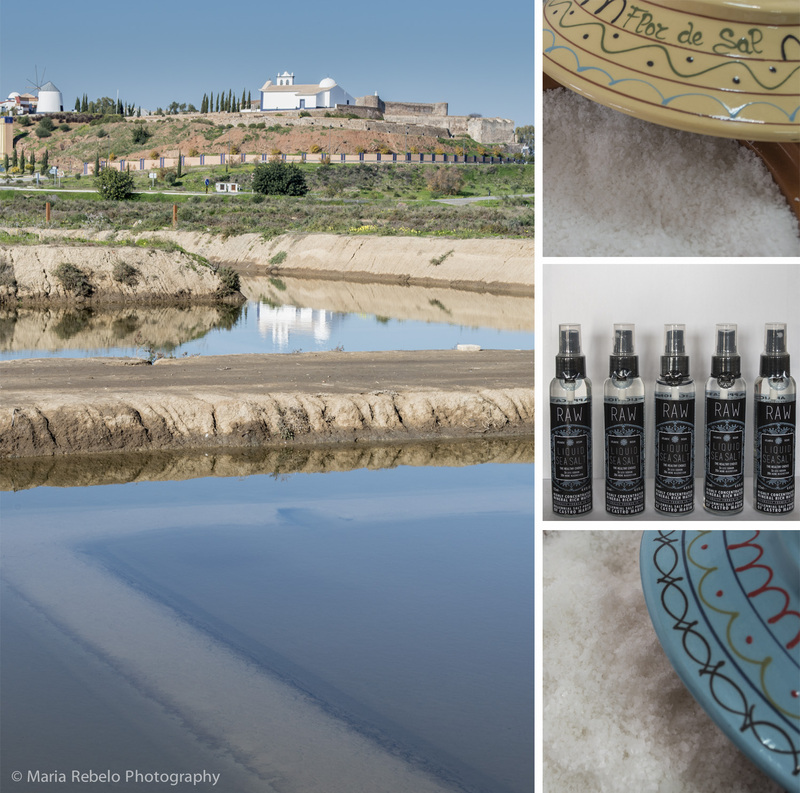 You can find the Água Mãe salt store on Travessa dos 3 Marcos, n.º 11, Castro Marim, Algarve, tel. 961380503, email aguamae@aguamae.pt . Click here for the Terras de Sal web site. To buy the wondrous salt of Castro Marim in the U.S., click here. The queen of England loves to wear them and with good reason. Gloves protect our hands from the elements, giving them the feeling of being on a perpetual Summer vacation. 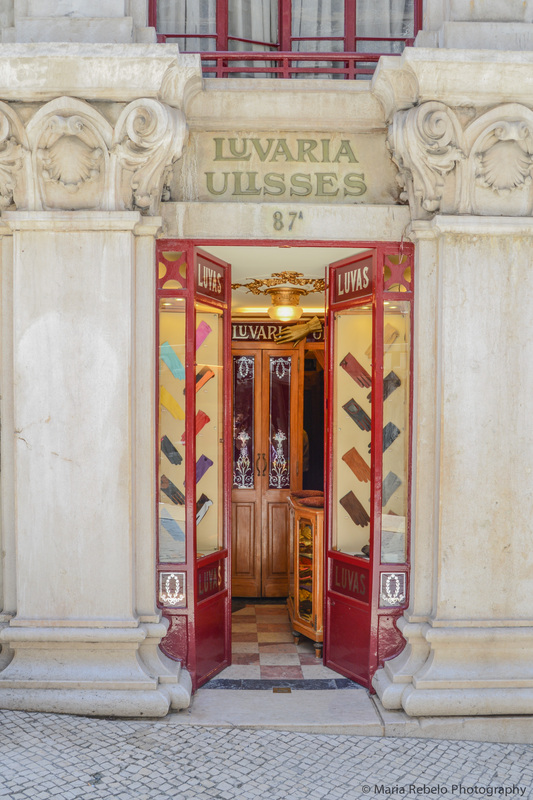 The best place to buy gloves is a small store in downtown Lisbon called Luvaria Ulisses. It has, since 1925, offered a large selection of gloves, so we can always find a pair that is perfect for us. Every time we leave the store, wearing new, elegant gloves we find Winter more appealing. Luvaria Ulisses is located on Rua do Carmo, 87-A, tel. 213420295, email: info@luvariaulisses.com. 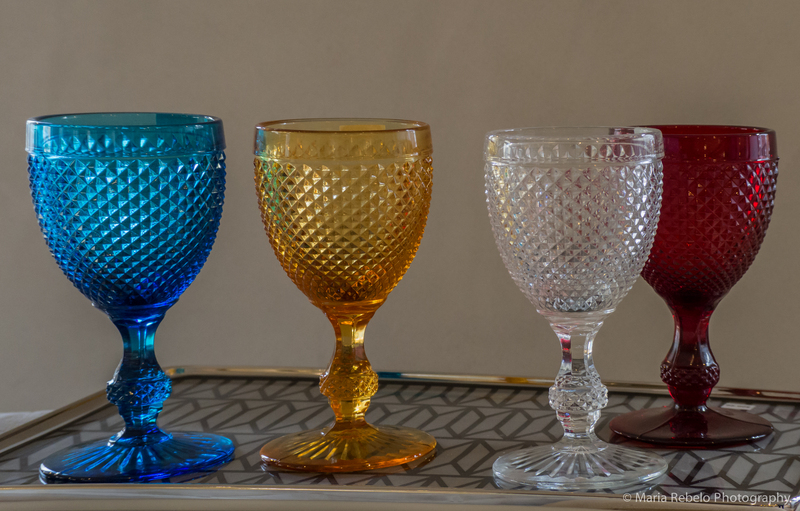 If you’re looking for a souvenir from Portugal that will remind you of your vacation, consider getting a set of Bicos, the beautiful water glasses sold by Vista Alegre. Their diamond-shaped pattern was first produced in a glass factory in Marinha Grande in 1901. More than a century later, these glasses are still in fashion because, when you use them, they brighten your day. Click here to see the Vista Alegre website. Olive oil bottles make great gifts. We recently tasted two interesting, delicious, affordable olive oils. The first is Gallo Azeite Novo. It is made from olives that are still green, giving the oil a spicy, fresh taste. The second is Gallo’s Moonlight Harvest. It is made from olives harvested at night and pressed while they are still cold. It has a smooth, fruity taste. The quality of olive oil can vary greatly from crop to crop, depending on rainfall and temperature throughout the year. 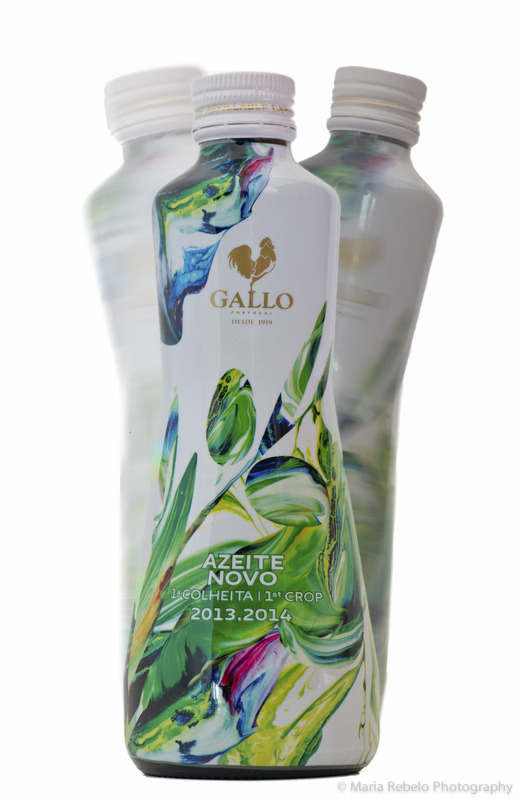 That is why, to ensure consistency of quality and taste, Gallo blends olive oil from different regions. Each year, Portuguese farmers wait nervously to taste the new olive oil in a ritual called “tiborna.” They dip warm country bread into the oil and, to bring out the flavors, season it with a pinch of salt or a pinch of sugar and cinnamon. You can invite some friends and enact the same ritual at home. Which olive oil do they prefer? The freshness of young oil or the smoothness of midnight oil? You can peer into their souls by observing their choices. It is generally a good idea to buy the olive oil at the airport’s free shop and take the bottles inside the airplane as a carry on.